"Black Panther is entertaining, but still leaves the audience wanting more." 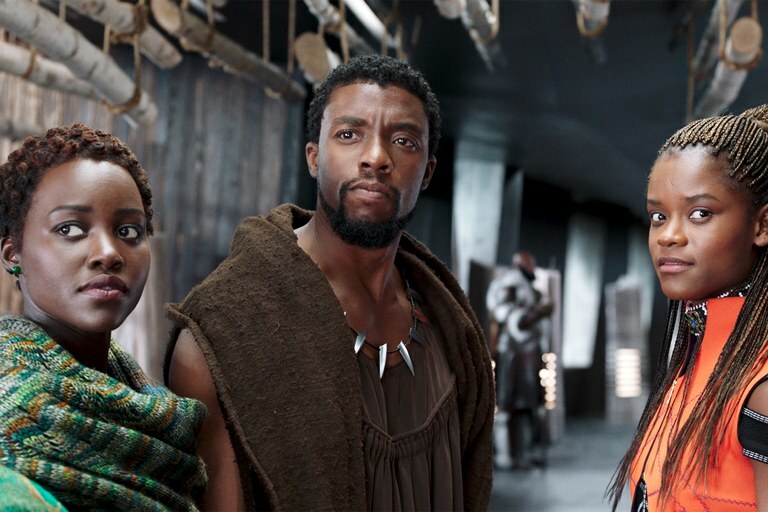 Black Panther is the latest entry in the Marvel Cinematic Universe, directed by Creed and Fruitvale Station director Ryan Coogler, and starring Chadwick Boseman, Michael B. Jordan, Danai Gurira, Letitia Wright and Angela Bassett. Picking up almost immediately after the events of Captain America: Civil War, T’Challa (Boseman)’s father has passed away, and he is about to take his place is as the King of Wakanda. At his coronation there is a rule that tribes are able to come forward and dispute his crown, resulting in a fight between the opposer and the king. 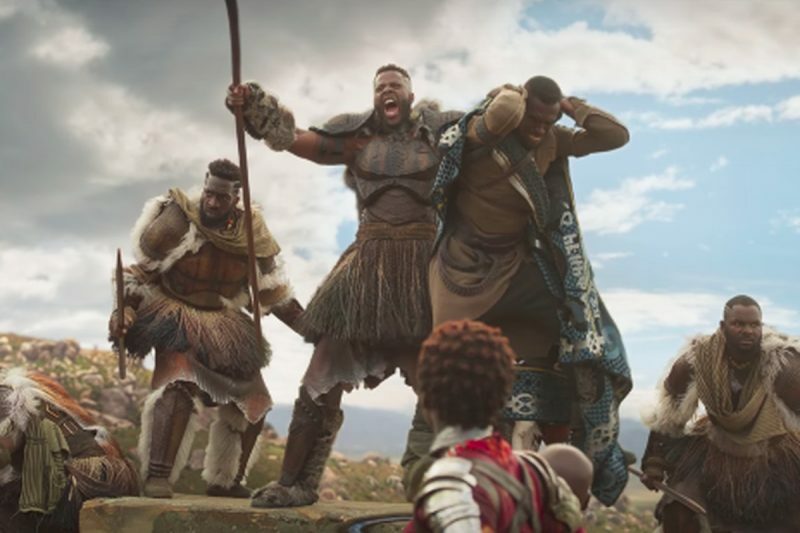 M’Baku (Winston Duke) comes forward as a representative for his tribe, to fight for the crown. After T’Challa is crowned, information comes to light that an ancient Wakanda artifact has been stolen from a museum by longtime nemesis Ulysses Klaue (Andy Serkis) and Erik Killmonger (Michael B. Jordan). The events take place after this heist leads to villain Killmonger’s true intentions for the Wakandan artifact and ultimately challenging T’Challa for the throne. The first half of Black Panther is interesting in the sense, that it has a lot of elements that warrant further exploration, such as Wakanda’s itself, the struggle with T’Challa’s sudden immediate thrust into royalty, and the villain. Wakanda is considered a third world country, but it carries technological advancements that outpace the rest of the world and the residents will not share this information in fear that it will get into the wrong hands. An idea that is presented but not explored. T’Challa is not ready to be king, he still struggles with the meaning of being a king and he has not gotten over the death of his father. Again, not really explored. And most of all, the villain is not really fleshed out. He states what his intentions are, but that’s all he does is state them. Killmonger appears in the first few minutes of this movie and doesn’t show up again until the last act. We could really hate him, but we don’t really get a chance too. 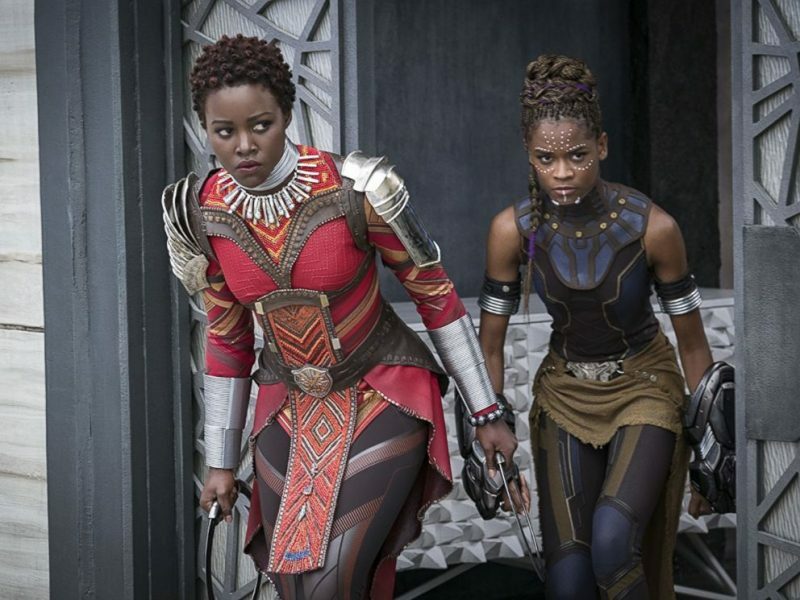 Two other characters worth mentioning are Okoye (Danai Gurira), the general, Shuri (Letitia Wright), Wakanda’s chief technological officer, and Lupita Nyong’o as spy Nakia who are the standouts. The definitely more than pulled their weight when Boseman was not on screen. Okoye is the greatest warrior Wakanda ever produced. Danai Gurira is great, she steals the movie. But unfortunately, we don’t know very much about her and her purpose. Letitia Wright and Nyong’o are charming as T’Challa’s sister and ex-girlfriend, but again I would like to know a little more about her. The performances are great, but another complaint that I have is Boseman’s screen time. The women are great, but there is a point when T’Challa is not on screen for about 15 minutes. The action scenes are great, but there is not enough of them. Black Panther is an entertaining movie, especially during the third act, but it is not without its flaws. I believe the biggest problem that is it has too many good things. Since it is an origin story and trying to find its footing, it would have benefitted from streamlining and not having so many characters. It also could have been greatly improved by fleshing out its villain. I just hope we get to learn more about him in the next one.